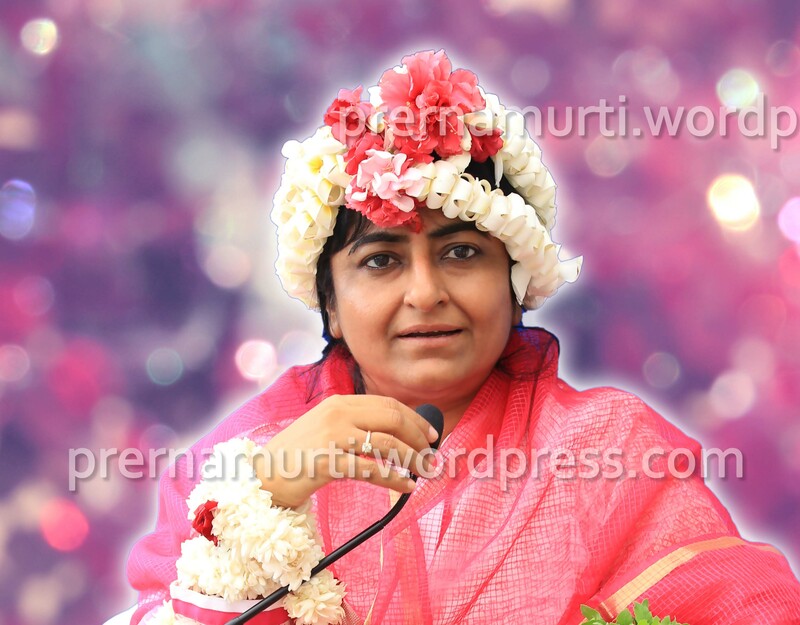 Prernamurti Bharti Shriji started the discourse by narrating that to getthe birth in human form is rare. Even rare is to get the company of self-realized saints. Even if one gets that,to have faith in them isagain more difficult. If one is able to sustain his faith in saints then his liberation is assured. There are 84 lakh species in the universe; to get human birthin that is extremely rare, precious gift of God to us and is considered to be the door of liberation. At the time of fertilization there are lakhs of sperms which compete with each other to fuse with the ovum, however only one is successful and leads to conception and later development of fetus. All others get wasted and flushed away in the drain.You are fortunate that you got birth while there were others – your sisters, brothers who did not get this chance. This human body thus is received with the grace of God. God has showered his blessings on us by giving us human birth and saints too, now it is time for us to grace ourselves by accumulating Dharma (Kartavyo Dharma Sangraha). Shriji said that even an animal knows how to give birth, feed and take care of its offspring. Even animals become happy in the happiness of their children and sad in their sufferings; if a man also limits oneself doing the same then what difference is there between an animal and a human being? What differentiates human is his pursuit of dharma. Liberation can be achieved only in the human birth amongst all other 84 lakh births.Prabhuji explained her stance by narrating a hypothetical story of a man who fell in a deep well which was dark and dingy and could not find his way out. A saint who was pained by seeing his plight told him to keep searching for a door which was there by touching the walls of the well. The saintassured him that he would definitely locate the door to come out, which was there between the walls, if he persistently touches the walls carefully. The man having faith in the words of the saint started touching the walls in the hope of finding the door. Unfortunately when the door arrived the man felt an itching in his head and started itching his head while moving thus missing the door. He again came back to the same position after spending much energy and time, however this time also as luck would have it, he started scratching his hand and missed the door. Like this he missed the door thrice and was very exhausted and frustrated at the end announcing that there is no door and there is no truth in the declaration of the saint. The kind saint noticing this revealed the truth and asked him to search for the door without moving his hand at all. The man followed the instructions and was finally able to find the door; he hastily moved out and could see light everywhere. Explaining the story Shriji said the door here stands for human body through which we can attain enlightenment. Itching symbolize the worldly attachments, vices which leads one to go around the 84 lakh cycles of births and deaths.